Assunta Spina opens on a view of the Bay of Naples. The camera looks out on an empty dock with rowboats bobbing in the water and then Francesca Bertini, as Assunta Spina, fades into view — she stands in profile, hands on her hips, gazing beyond the camera. With a melancholy sigh she turns to face us, still looking far away beyond the lens. She is wrapped in a fringed shawl, gathered tightly around her waist and hanging loose at her arms. With another sigh she adjusts the shawl, her slow and deliberate movements establishing the melodramatic tone and signaling the unhappy events that will unfold throughout the course of the film. In arguably her most famous role, Bertini helped to create a visual record of life in Naples. The emphasis she put on realism infuses the film with a documentary flavor. Her decision to leave the footage largely unedited means that the scenes unfold at an agonizingly realistic pace. This sense of uninterrupted time only adds to the painful drama of Assunta’s story. The majority of the figures we see on screen were Napoletani extras selected by Bertini — the police officers who shepherd away Assunta’s lover Michele were played by real police in their real uniforms. 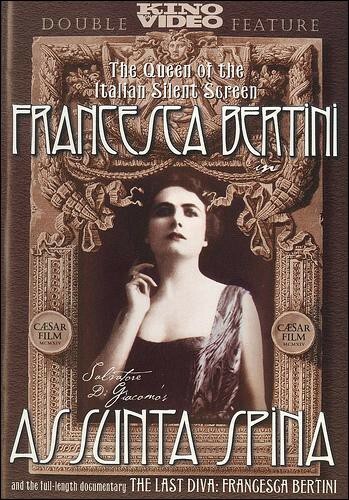 Likewise, the clothing that Bertini wears as Assunta was not the work of a costume designer, they were Bertini’s own garments. 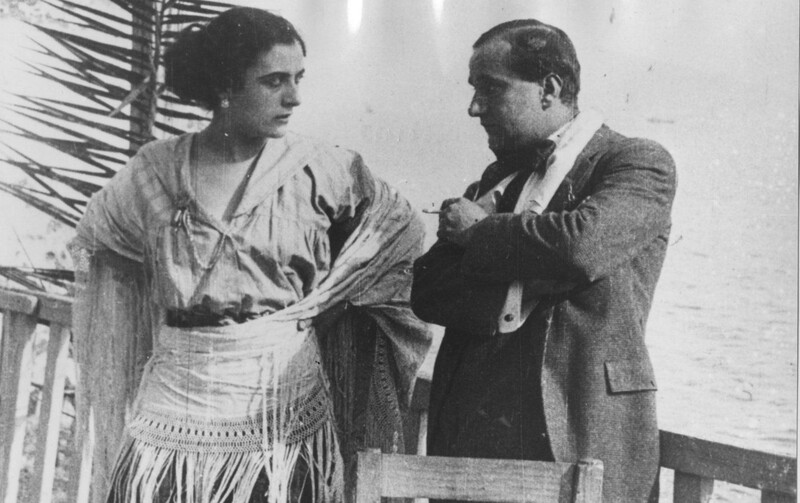 In fact, despite being a melodrama, Assunta Spina was not typical of films of the era nor was Francesca Bertini defined by her role as a diva. She pushed back against the broad and overwrought gestures that were prevalent at that time, preferring to play her roles with more subtlety — unaffected and spontaneous. She was known for wanting to get everything in a single take and being exacting about her work and the work of those around her. Throughout the film Assunta is haunted by men who are simultaneously predatory and inattentive. This does not turn Assunta Spina into a story of helpless victimization, Assunta is flawed as well, though she certainly possesses more positive attributes than any of the men who pursue her. Rather, Assunta Spina tells the story of a tough, yet magnetic, woman who takes the harsh realities of the life she has been given — full of violence, corruption and poverty — and grimly pushes forward. As the film progresses we see Assunta undergo a transformation in her wardrobe. At the outset she is presented to us in an unassuming outfit comprised of a blousy shirt, a long dark skirt, and a long white apron — the plain clothes of a provincial laborer. In the first phase of the film Bertini is playing the role of the devoted fiancé. Assunta loves Michele, she is pursued by Raffaele, but her honor is intact. When Assunta moves to Naples we see her at first in comparably plain clothing, but when she and Michele go to Posillipo to celebrate her birthday she is dressed more stylishly, and more sensually, in an outfit similar to the one she was wearing in the opening scene of the film. At Posillipo she feels rebuffed by Michele, so she flirts with Raffaele and, in an impetuous flurry of scarves and fringes, asks him to dance, prompting the ensuing tragedy of the film. Throughout the next several scenes she appears in the same shawled silhouette. These garments afford her the movement needed to express the passion, anger, and horror of what she is experiencing. By the third phase of the film Assunta has become the lover of Don Federigo Funelli. When we encounter her again she appears to be dressed in mourning. Her clothing is dark and heavier than what she has wore before. By this point in the film her life has been marred repeatedly by the actions of cruel and jealous men — and her mourning garb prefigures the final tragedy of the film. 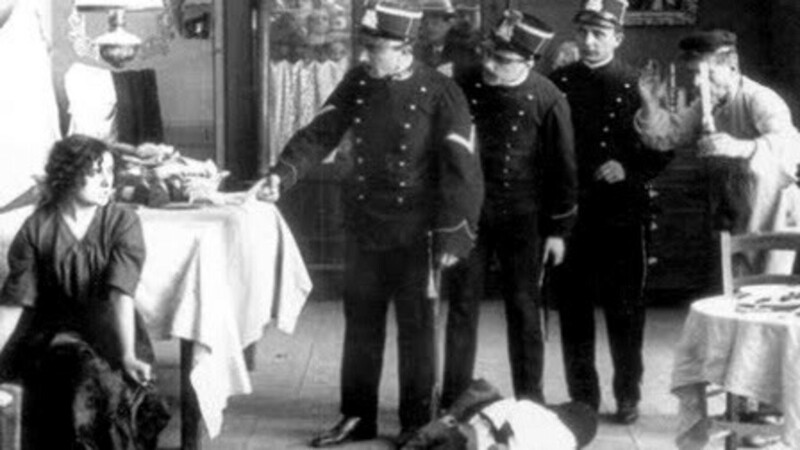 Restored and re-released by Cineteca Bologna accompanied by a soundtrack, composed by Guido Sodo and François Laurent.